How much is Mary J Blige Worth? Mary J Blige net worth: Mary J Blige is a New York-born singer, song writer and producer who has a net worth of $20 million. Mary J Blige was born on January 11, 1971 in the Bronx. She got her start in the music world as a backup singer for Uptown Records. Soon she was paired up with a promising 22 year old Uptown producer named Sean Combs, aka Puff Daddy. Her first album was 1992's "What's the 411?". Her powerful voice backed by heartfelt lyrics have helped Mary J Blige earn the title, Queen of Hip-Hop Soul. What's the 411? was a combination of traditional R & B sounds and gospel & blues-inspired vocals. Her next release was the album titled My Life that has been labeled as the greatest albums she ever recorded. Mary J Blige has since continued to release critically acclaimed albums, each filled with poignant messages of life, love and self-acceptance. 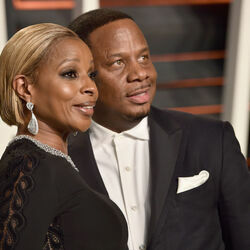 Apart from her success as one of the greatest vocalists of her generation, Blige also earned high remarks for her work in film. She appeared in the 2009 Tyler Perry box-office hit I Can Do Bad All By Myself, as well as in the 2012 dramedy musical Rock of Ages. What's more, Bilge is set to perform as music icon Nina Simone in the upcoming biopic Nina. In total she has released 10 albums, eight of which have gone platinum. To date, Mary J. Blige has sold 50 million records and 15 million singles. She has also won nine Grammys. 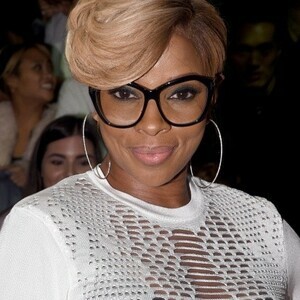 Unfortunately Mary J has had a series of financial issues over the years. As of May 2013, Ms. Blige owes the IRS $3.4 million. She also owes the state of New Jersey $900,000 and is the target of a lawsuit that claims she owes $2.2 million for an unpaid bank loan. On May 25, 2014, it was revealed that Mary had paid off her $900,000 debt to New Jersey but still owes at least $3.4 million to the IRS. In 2008, Mary bought a $13 million house in New Jersey. She REPORTEDLY paid all cash for the 20,000 square foot mansion. She is now trying to sell the house for $8.9 million as she goes through a divorce from her former manager Martin Isaacs. 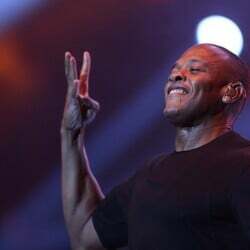 According to the divorce paperwork, Mary earns around $300 thousand per month. Her ex is seeking spousal support and communal property.